Family owned and operated Electrical Contractor. Our # 1 priority is providing a safe electrical system for you and your family. Whenever predicaments in our lives arise, we always try our best to find an immediate solution to it. 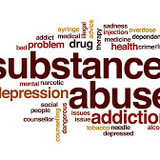 Sometimes, other people find a solution through the use of substances like alcohol and worst, illicit drugs. It is planted in their thinking that through the use of the before-mentioned, problems are easily forgotten. But mind you, such quandaries might be forgotten but they are not eliminated. They instead make your life worse and even worst if unstopped. Such substances only give you temporary happiness. Licensed Electrician in the Louisville area. We offer the best in electrical contracting services. Please feel free to reach out with any questions or business inquiries you may have. 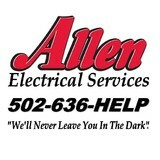 Electrical contractor in the Louisville, KY area. I am a master electrician from Bardstown with over 37 years of experience. I have worked on everything from power plants to college dorms to homes. Please give me a call for any of your home electrical needs! CE14529 - Contractor's License ME14528 - Master Electrician License I can do it all, both residential and commercial. Combining years of experience with a dedication to client satisfaction, Five Star Electric, LLC has established itself as the local leader in Electrical Upgrades, Alarm System Installation and Wire Remodeling. We welcome the opportunity to sit down with you and introduce our company to you. Rose Brothers & Sons is family-owned and operated. We have more than 45 years combined electrical experience in Residential, Commercial and Industrial Electrical Construction. With 3 Master Electricians and 3 assistants available on our crew, we have three service vans fully equipped to serve you with tools and parts. Our current business was incorporated in February of 2002 and Tim Rose has 30 years of industrial maintenance experience. He has maintained an NKEA license for over 20 years. We are fully covered with Workmen’s Compensation and over $2,000,000 in Liability Insurance. Rose Brothers & Sons, Inc. never tries to underbid others just to pick up a job or two. 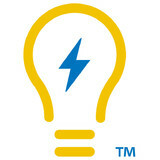 We want to become your reliable vendor source for dependable electric work well into the future. We can easily handle new home construction, home remodeling, commercial construction and all industrial work. Working with electricity isn’t generally a do-it-yourself kind of task. Small jobs, such as swapping out a lightbulb, are safe and easy enough, but intensive electrical work is better left to a professional Crestwood electrician. When you consider the things that can go wrong, from fire to serious injury, hiring an electrical contractor seems like a wise investment. If you’re in need of a residential electrician in Crestwood, KY to help get your household’s electricity in tiptop shape, read the following information to help you find the most qualified professional for your job. What do licensed Crestwood electricians do? An electrical contractor plans, installs and repairs wiring in structures. He or she works closely with the home’s general contractor or remodeling contractor to determine the specific electrical needs for the project and to ensure that the wiring will meet Crestwood, KY building codes. An electrical contractor’s job also includes installing and repairing fixtures, switches and other visible components of electrical systems. With today’s technological needs and advances, many electricians in Crestwood, KY also are trained to install fiber optic and coaxial cables for electronic equipment. Certain electrical companies may design and install data systems and wire for security features such as alarms too. Some Crestwood electrical contractors specialize in specific areas, such as HVAC, low-voltage appliances and systems and more, so be sure to ask about their training to see if it fits your project needs. Find a certified Crestwood electrician on Houzz. Narrow your search in the Professionals section of the website to Crestwood, KY electrical contractors. Here are some related professionals and vendors to complement the work of electricians: Lighting Showrooms & Sales, General Contractors, Solar Energy Contractors, Heating & Cooling Sales & Repair.